This food gradevsilicone mold making rubber is a 2 part, RTV platinum addition cure kit. Our Food Grade Silicone has good shelf life stability and mechanical properties. You can make chocolate, candy, sugar, ice and other food molds with it. 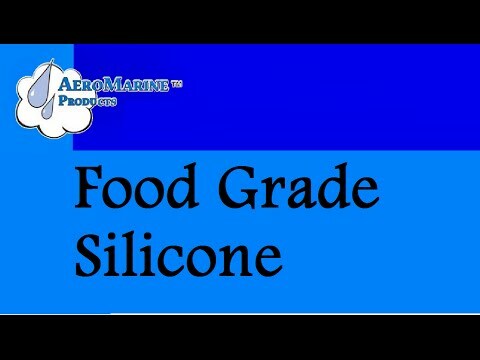 AeroMarine Products’ Food Grade Silicone Rubber’s mix ratio is 10:1 by weight.You must use a digital gram scale for correct weight ratio. We sell a very good digital gram scale. NOTE: Our Food Grade Silicone Rubber is sold by weight, not volume. Food applications: You must rinse the mold thoroughly before using it. Cure Inhibitors: Do not use AeroMarine Products Food Grade Silicone Rubber with any sulfur and/or organo-metallic salt, tin cure silicones, oil-based clays and/or amines. Avoid using latex gloves when using our Food Grade Silicone.